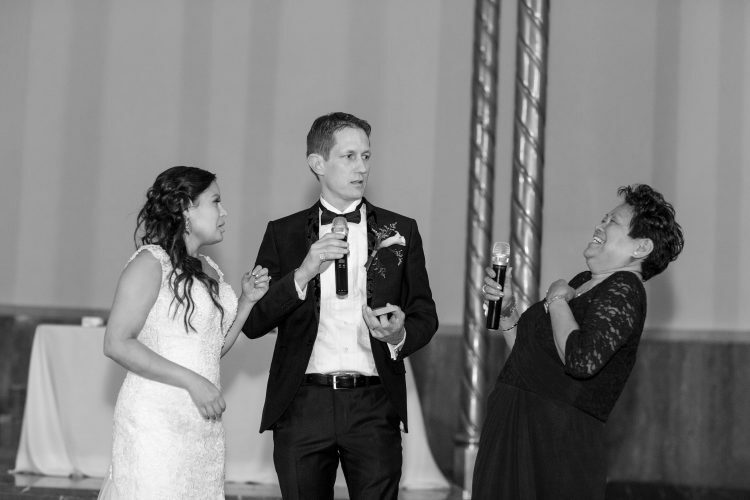 Start with the most traditional and old-fashioned wedding ceremony and reception you can think of, then change one or two features in a major way. Maybe your wedding is as formal as William and Kate’s, but after you kiss, the entire wedding party does the Thriller dance. Or maybe instead of a garter toss, the single men have to battle it out in a limbo competition. Or maybe instead of a traditional white dress, you wear a Gaga-esque meat dress. (Just kidding on that one. Unless you’re into that.) You can have traditional, and simultaneously rebel against traditional, by including one or two artfully original contradictions in an otherwise Cinderella wedding. Close your eyes and think about three of the happiest moments of your childhood. Write them down and then figure out how to incorporate them into your wedding. Your wedding is about you and your partner, and nothing is more unique (and happiness-producing) than infusing your wedding with what makes you you. 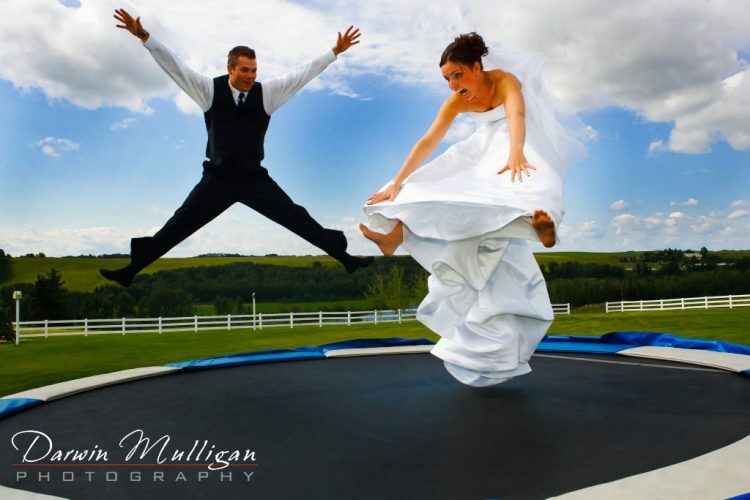 Sure, you used to love jumping on a trampoline, but that’s not appropriate for a wedding reception, is it? WRONG! 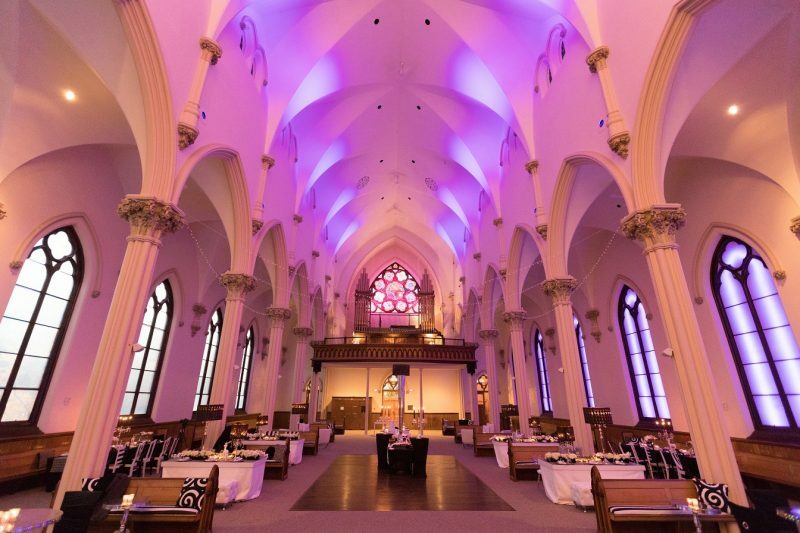 Nothing is inappropriate – it’s your wedding reception! Flip through your wedding magazines again – but this time ask yourself, “If my spouse and I were the only ones at our wedding and we could take no pictures, what would we care about?” Let’s face it: most of what impresses us impresses us only because we think it impresses others. When you remove the opinions of others, it’s much easier to see what truly matters. Perhaps all you care about is a beautiful ambiance while you’re slow dancing with your new spouse. Or maybe just the taste of an amazing steak that you share with your partner. Or maybe all that matters is wine and good music. Ultimately, if you can momentarily dismiss the opinions of others, you’ll be much closer to discovering your ideal wedding. 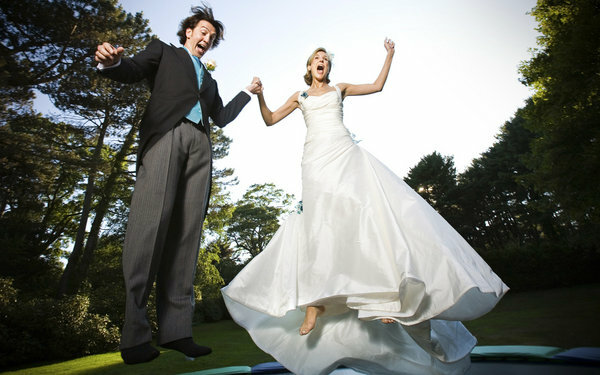 Spend a few hours Googling “unique weddings” and “unusual weddings” to stir your creative side. Then go for a week WITHOUT Googling weddings or looking at wedding magazines. What stuck with you? Why? A little soul-searching that this point might unveil the true you. Finally, don’t try too hard to be original. Originality is not what matters, as being overly original can itself be cliché. What matters is authenticity. You are already unique and different in your own way, even if subtly. Celebrate your true identity. Your wedding is the moment in time when it’s okay for you and your partner to be truly authentic. After all, you’re paying for your guests to eat, drink, and be merry. So if you want to eat a cupcake while bouncing on a trampoline in your meat dress, then dammit, that’s what you should do! If you want really go over-the-top in your wedding originality, check out our blog post on the 10 Most Adventurous Ways to Get Married. Here are some ideas if you want to plan an awesome and memorable honeymoon, and for a wedding night like no other, here are America’s Best Honeymoon Suites.